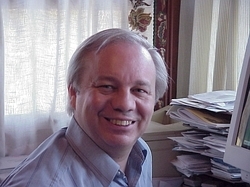 William Fawcett's varied career includes college professor and dean, teacher, corporate executive, writer, editor, anthologist, and game designer. Bill's writing includes over one dozen books of both fiction and non-fiction. He is also a master "packager" of books, preparing book series from concept stage to completion for major publishers. He co-created the classic military SF series "The Fleet" with David Drake. As a founder of Mayfair Games, he won several of that industry's highest honors, the Charles Roberts Award. Perhaps the best-known of his game designs is Empire Builder. He has also worked on RPG modules and supplements and computer strategy and role-playing games. Bill has edited several history anthologies, such as How To Lose A Battle: a modern look at how bad generals lose battles, How To Lose a War, It Looked Good on Paper, Engineering disasters through history, and Oval Office Oddities. He lives in Chicago with his wife, Jody Lynn Nye.